I am a physicist who has been ill (mainly with chronic non-infectious disease) and so I have put my mind to curing myself (instead of say designing atom bombs). I studied the physical principles of different systems of alternative and complementary medicine and then used the insights from physics to improve things. I have done a lot of experimental testing on myself, friends, family and patients in the UK, US, Switzerland, Taiwan and more recently in Thailand. I have a doctorate in elementary particle physics from the University of Oxford. (See Doctoral certificate.) This type of physics is the study of the fundamental building blocks of matter (neutrons, protons, quarks, gluons and so on) and is considered by most physicists to be one of the more fundamental fields of modern physics. There is a connection between this type of physics and life because the chemicals in your body are made of sub-atomic particles (eg quarks), so you have a sub-atomic anatomy. More details of my professional career are given in my curriculum vitae. I have worked along side several Nobel prize winners and at one stage reported directly to J Keyworth, who became President Reagan's Science Advisor. I have published about 50 papers which are given in my list of publications. (One of these papers had the sixth highest citation rate of all the half million papers published in all fields of science in 1972.) For the last 20 years I have been working full time on my medical research. When I was 11 years old at the height of the Arms Race in the 1950's, I reasoned that it was not God who was misguided, but mankind. God had not made the Universe so that mankind had to self-destruct in a nuclear holocaust. I realized that humanity has focused on the negative and destructive side of nature, and ignored the positive, constructive side. So if one looked hard enough, one would find the counter-balancing good which God had placed in nature. I therefore decided to study physics and look for the good in nature - that which is the opposite of nuclear weapons and which would offer hope and a future to humanity. 52 years later, I start to have found what I was looking for. There is a tradition of scientists and academics in my family. (A distant ancestor, Dr Roger Fenton DD, was one of the seventy seven scholars who helped translate the St James edition of the Bible. I had a great grandfather who was a chemist at Oxford, and an Aunt who was a published entomologist and spoke seven languages, including Chinese.) So I studied hard at school and won ascholarship to Oxford University to study physics. I then did my doctoratein elementary particle physics. (This involved a lot of computer programming which made me an expert in pattern recognition and artificial intelligence. I have used some of these techniques in developing my system of remedies.) I was then given a Royal Society European Exchange Fellowship and went to work at the University of Bologna in Italy, and later at CERN, the European Centre for Particle Physics near Geneva (where the world-wide-web was invented). Whilst I was at CERN I did the research which led to that paper with the very high citation rate. This was cutting-edge research on the frontiers of physics. Later I went to work at the University of Virginia and at Los Alamos, where the first atomic bomb was developed. I did not work on anything secret there, but latterly reported to J Keyworth who was head of the physics division and who later became President Reagan's science advisor. I then went back to CERN for a year. When I came back to the US, I was offered a job testing nuclear weapons on the Nevada test range. I felt they worked well enough, and left physics to work as a software engineer in Silicon Valley. I then went back to Switzerland and taught electrical engineering at the Swiss Federal Institute of Technology in Lausanne (EPFL). During this twenty year period, I worked alongside Nobel prize winners and had access to the best technical libraries on the planet. Despite looking everywhere, I did not find the counter-balancing good I felt God had put in nature, although there were a few clues. My quest might have remained a failure. However, I had been ill since I was a teenager. At a certain stage I realized that there was the healing power of Nature in the following scientific way. Whilst at CERN I had heard someone mention a paper due to Gamow about how sunlight creates life on the earth. This had a big influence on me, because it shows how the sunshining on the earth's surface pumps entropy (randomness and chaos) out into outspace, thereby enabling order to be created in plants. During my second time at CERN I had realized that the drugs I was taking not only did not work, but actually interfered with my brain. Since I earned my living with my brain, I stopped taking them and started to treat myself, initially with vitamins. At about this time, I heard a lecture at CERN by Lima-de-Faria, a molecular geneticist from the University of Lund, who showed that contrary to current opinion (and to Darwinism), there was far more order in genetic code than disorder. He pointed out that something was deliberately creating this order in DNA, and this required new physics. I decided to look for this new physics. My work then went in apparently contradictory directions. I studied biochemistry, biophysics and other areas of physics which concern consciousness and life, some of which are little-known, even to many physicists. At the same time I studied books on nutritional medicine and took all available vitamins and minerals. My second wife, Alice, had been brought up in Morocco and had studied medicine in Spain. She encouraged me to explore homoeopathy, Chinese medicine and all kinds of obscure things. I would say "homoeopathy is nonsense." And she would say "How do you know? Have you investigated? Have you tried the remedies?" This encouraged me to investigate many different subjects for myself, even if they were normally thought of as being outside Western scientific knowledge, rather than accept theopinions of others. I was drawn to healing, not only because it was directly useful to me, but because life is sacred. Life is the most important thing there is and we have a duty to help God make it work correctly. Whilst ultimately all healing comes from God, it is our duty to find out how living organisms work and help Him in His work. (Human beings are involved in causing harm to living organisms, wars, killings, torture, pollution, stress, accidents, and so on, so that we have a duty to put right the damage we have caused and heal disease. Jesus said "Heal the sick".) All the time, I was drawn to study healing, and would ask myself "How does this system of alternative medicine work? What is the physics of this? How can I improve upon it." During this time, I became very ill, so that I could not work. So I spent all my time healing myself and studying books on all kinds of medicine. I started to go out into the fields and botanical gardens. I studied botany and collected herbs and flowers and started to make my own medicines, all with certain ideas of physics in mind. I also began to study minerals and came to know quite a lot about minerology. Life is God's technology. Einstein once said "Subtle is the Lord, but malicious He is not". When asked what he meant, he explained that God sometimes works in the most direct way for Him, which can be somewhat subtle for us human beings. But God is not trying to deliberately hide things from us. I moved back to England where my family lived in the country. My late father was a water miller, and countryman. I went back to my roots and became involved in life in the countryside, and continued my medical research, going out into the woods and fields, looking for herbs, flowers and stones. I found that there was a tradition of healing amongst the farmers in my family, and I inherited a leather-bound copy of Culpeper's Herbal which includes his Natural System of Physic. So there we have physics and medicine coming together. I think that my physics gives my healing system an edge, a sharpness, a precision, which other systems do not have. Physics is about reason and objective facts. Healing is more subtle, but it involves very advanced concepts, such as the interaction of spirit with matter in multiple dimensions, which modern physics helps one to understand. At present the scientific community assume that the Universe is dead, and by so doing they turn life off and never see it in nature, because they have closed their minds to it. But in fact it's there, and if you accept that the Universe is alive, you turn life on in your mind and then you can start to see the evidence for life in nature. You start to find evidence that life is an integral part of nature. You then realise that the evidence is already there in physics. This is the power of the mind. Simply by believing in life, you start to see it in nature, but if you do not believe in it, you cannot see it. Then, once you understand that life exists, the question is, how does spirit connect to the matter in your body and create health? This is where physics was so helpful, because physics is the study of the interaction of force-fields with matter. By assuming the Universe is dead, scientists have cut us off from life, and so we focus upon death. The "good" I started to look for in nature is life. Life is something real, tangible, concrete and important to us. We are living beings and we can no more live without life than robots can function without electricity. Therefore it is absolutely essential that we turn life on again and start to use it to heal and vitalise ourselves, before it is too late. To a certain extent, healing goes on naturally all the time. However, there are many conditions where the nature of the disease is so severe, so deep, that natural healing is blocked. What has gone wrong and how do you help to put it right? How do you repair things which have gone irretrievably wrong. It is this deeper kind of healing that I do. The first step is to establish the principles and show that the healing power of nature exists. To show evidence for this healing power of nature, I have found evidence for the life force, developed QEP, which is a natural system of physic, and have laboratory evidence that two children have become free of HIV. Since then, I have developed this treatment for the Epstein Barr virus. 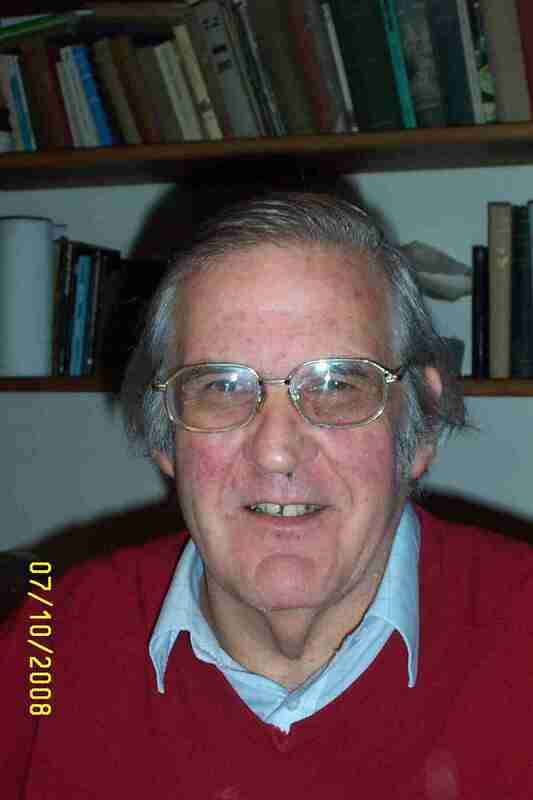 Copyright© 2009-10 Dr Richard Ellis, MA, DPhil (Oxon). All rights reserved.